On June 2nd, we held our 5th annual Cruisin’ For a Cure Car Show! We are very pleased with results of this year’s event and will be releasing that info shortly. We would like to thank our participants for their willingness to do this car show each year and we are sincerely grateful for them, as the community members who came to have fun with us. We posted some great photos on the Cruisin’ For a Cure Car Show Facebook page to recap the events of the day. Visit https://www.facebook.com/cruisinn4acure/ to see some the amazing cars we saw. 5th Annual Cruisin’ For a Cure Car Show! 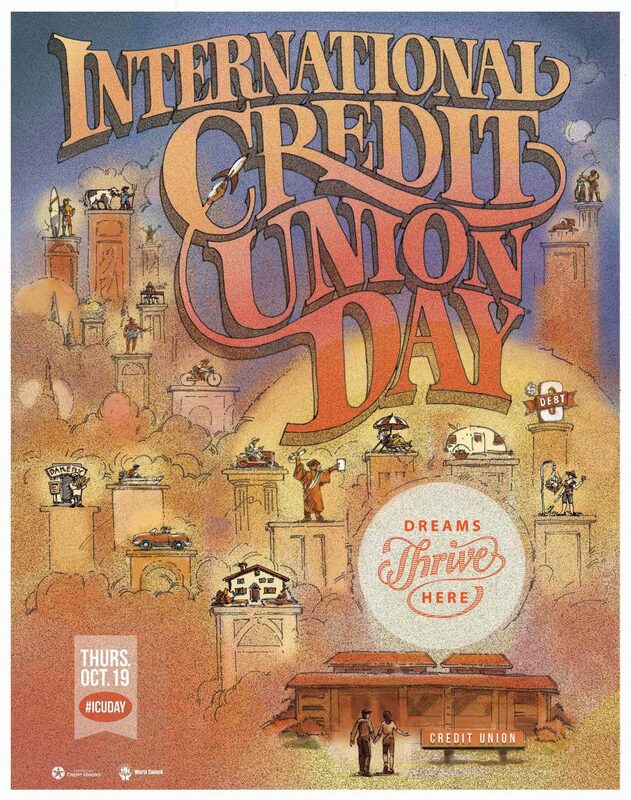 On October 19th, NDFCU will celebrate International Credit Union Day. Join us for games and prizes throughout the day. We have Plinko, a bean bag toss for the kids, a Candy Corn guessing game, and a $50 Visa Gift Card drawing. Additionally, every member who visits will receive a special gift to commemorate the day. The games/prizes schedule will take place throughout the day: 9-10am, 12-2pm, and 3-5pm. We asked Monty Moose to visit and he is thrilled to visit us from 3pm-5pm for some additional fun. We are doing a second drawing for a $50 Visa Gift Card as well. This involves you taking a picture with Monty Moose and posting it to your Facebook page with the caption, “Do you Kasasa?” Make sure you tag us so we can add your name to the drawing. Our theme for the day will be all about our newest Kasasa products. We will have expert staff available to answer any questions you may have about anything Kasasa. Light refreshments will be available so feel free to join us at any time between 9 am – 5 pm.